Estabanell Distribució is an electric distribution system operator (DSO) with more than 100 years of history, based in the region of Catalonia (Spain), serving today around 56.000 supply points. With its affiliated companies, the Estabanell y Pahisa (EPSA) group has activities in electricity generation, distribution, retail and in the telecom sector. The company, together with other 6 partners, is taking part in the European project RESOLvD, with the goal of shaping the future of the low voltage (LV) grid. The project addresses one of the main current changes experienced by LV networks: the accommodation of a growing number of renewables, injecting power in the grid. This trend is certainly an opportunity for the environment and for the society, but it also imposes challenges to DSOs, in charge of ensuring the continuity and the efficiency of the service for end-customers, despite the technical issues deriving from the massive installation of distributed generators. The solution envisioned by RESOLVD consists in making the LV grid remotely monitorable and controllable, giving real flexibility and managing congestion through a new-generation ICT infrastructure based on BPLC and WiMAX technologies, power electronics devices, centralized and decentralized energy management intelligence, developed during the project. Estabanell brings the point of view of the DSO, central stakeholders and potential facilitator in this phase of transition. The contribution of the Catalan group primarily consists in outlining the objectives and the use cases of the project according to the real needs of distribution operators, while helping defining specifications for the new technologies and for their integration into the legacy system. Additionally, Estabanell will set up, within its network, a validation environment, where it will be possible to validate the developed solution. Estabanell is not new to innovation activities. Apart from the promotion of an internal culture of innovation, the company collaborates internationally in other projects. 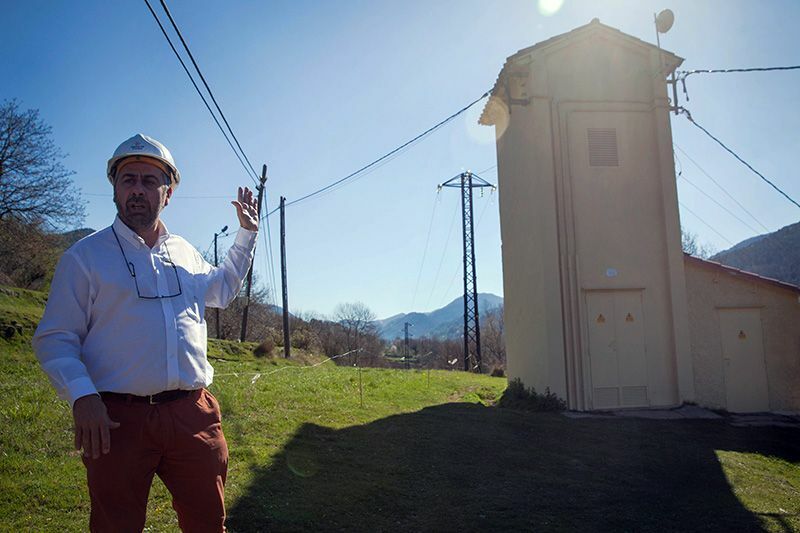 Last summer the company has successfully accomplished Smart Rural Grid, and it is now working on Horizon2020 challenges, such as the projects Naiades, focused on the sodium-ion battery technology, INVADE, centred on storage integration in distribution networks and Eco-Bot, for active engagement of energy consumers towards sustainable choices. Estabanell has a history of adapting itself to new conditions, coming up with new solutions, while offering the best possible service quality to its customers. Today it continues with this legacy, embracing change and innovation to overcome the challenges of the transforming electricity sector.